A Megane with far sharper looks and an impressive interior has just landed. But will it be good enough to take on the Golf and Astra? Looks really good, is hugely comfortable, decent to drive and temptingly affordable, but it lacks a final polish in both dynamic and quality departments. Wow, this is a good looking car, far more distinctive and eye-catching than the last Renault Megane, and equal to the gorgeous little Clio and the muscular Kadjar crossover in styling terms. Actually, when you look a little close, it's quite a generic family hatchback shape, with distinct overtones of the Volkswagen Golf (see it in a dark colour and squint a bit and you'll see what I mean), but Renault has really kicked up its styling game with the detailing - that bold grille, with its massive Renault diamond, the dramatic c-shaped headlights and daytime running lamps, the slim, jewel-effect tail-lights and the muscular hips around the rear pillar. It's basically lovely. It's helped by the fact that, in this GT-Line specification, it's wearing a mildly muscular body kit and some very lovely optional 18-inch alloy wheels (17s are standard for the GT-Line). Inside, it's a little less dramatic and a little more generic, but not necessarily in a bad way. Out have gone the rough-hewn plastics of the old Megane and in comes something rather more rewarding to the fingertips. You can, with a little attention to the options list, make the Megane look and feel distinctly ritzy and upmarket, thanks largely to the addition of a Volvo-esque touchscreen, either in seven-inch landscape or 8.7-inch portrait form. Our test car had the smaller screen though, which looked and felt a little less impressive, and the main instruments, all digital and borrowed from the Kadjar, look neither sufficiently classy nor distinctive. There are some high points though. GT-Line specification brings with it some seriously good front seats - figure hugging but never pinching, and very comfortable - and good space in the back seats. The 434-litre boot is good, bigger than that of a Focus or a Golf, so the Megane is certainly going to prove comfortable. Will it prove well enough built though? Build quality was a major bugbear on the 2002 Megane and customers haven't had their memories wiped. The overall sense of quality is good when you sit in, but there were some minor cabin rattles during our test drive, which on a low mileage car is hardly good news. We'll reserve judgement until we've seen some higher mileage examples of course. The last generation Megane had a distinct split between the turbo-nutter Renaultsport models (fast, furious, fun) and the sensible diesel models (frugal, but quite dull to drive). This new Megane seems to have bridged that gap, at least with the GT model. That's thanks in part to the fitting of a Sport mode button. Normally these switches are pretty transparent marketing gimmicks, but in the Megane, the extra weight and heft added to the steering makes the car feel suitably sportier, without the steering becoming needlessly heavy. There's even a modicum of feel and feedback, making the Megane actually quite good fun to fling around. What it's not is smooth. Now, the 18-inch wheels of our test car likely shoulder some of the blame (we haven't had a chance to try a Megane on smaller standard wheels yet), but the ride is firm to the point of being annoyingly fidgety. 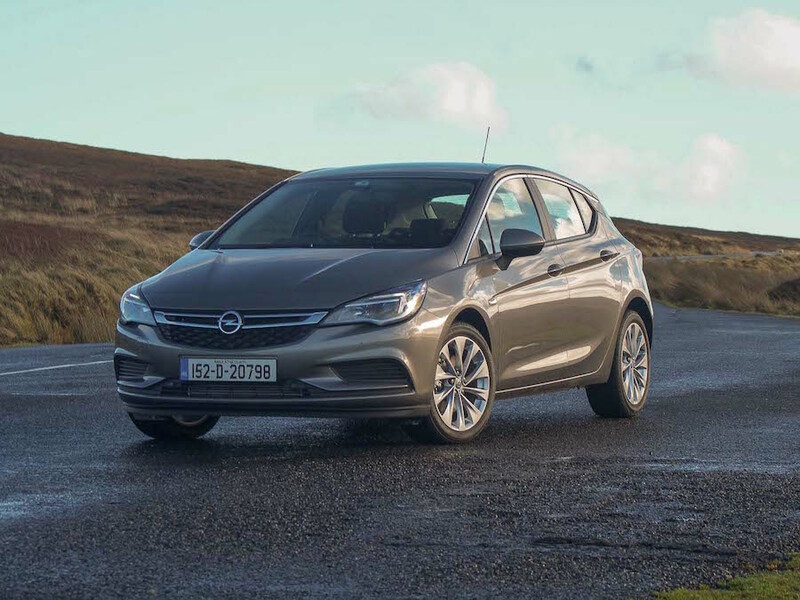 Yes, we were driving it on narrow, bumpy Wicklow mountain roads, but there's a distinct lack of smoothness, and when you start to press the Megane hard, sharp bumps send a shotgun report up through the springs and body that is quite disconcerting. The engine is a good one, though. We're familiar with the 110hp 1.5 dCi diesel from so many other Renaults and Nissans, and here it's in fine form. It's a little loud and unrefined on start-up, but warmth brings with it some silence, and it's hugely flexible and torquey. Economy was hard to gauge on our short test, but I suspect Renault's official figure of 85mpg is somewhat over the top. I'd say 60mpg should be do-able if care is taken, though. 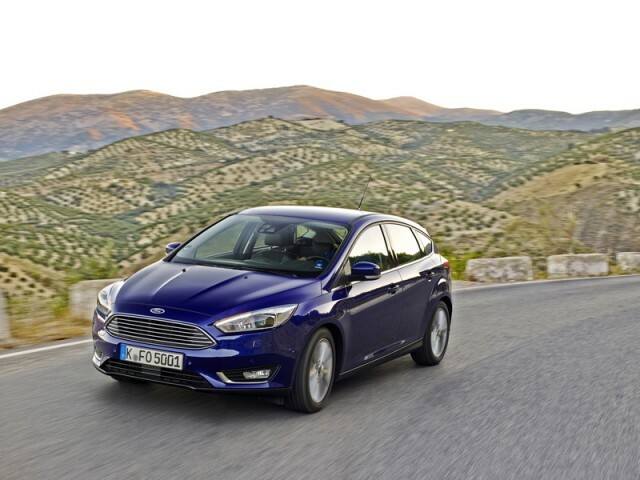 A shame that the six-speed manual gearbox isn't a good match for the engine - the shift feels rubbery and imprecise, and the gearing is set very high, for economy reasons, which can leave you floundering off-boost too often. The Megane is kicking in with a very tempting starting price of €19,495 for the turbocharged 1.2-litre petrol Expression model, which as standard comes with a bevy of safety toys (the Megane continues Renault's impressive safety record in Europe), 16-inch alloys, manual air con and Bluetooth with audio streaming. PCP prices start from €155 a month, but you'll need to upgrade to a much pricier Dynamique or GT-Line model (starting at €23,995) if you want some of the nicer toys. If the too-bland previous Renault Megane was an overreaction to the too-funky 2002 model, then this new Megane is the preferable middle ground. Though there are still some question marks over quality, it's seriously handsome, roomy and decent to drive. Ford Focus vs. Renault Megane 1.5 dCi GT-Line: still one of the country's favourites and still great to drive. Uninspiring cabin and restricted back seats though. Opel Astra vs. Renault Megane 1.5 dCi GT-Line: our shout for current best in class. Roomy, lovely to drive, of high quality. 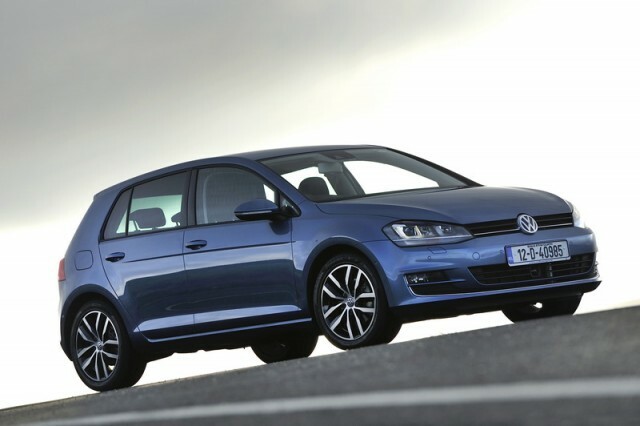 Volkswagen Golf vs. Renault Megane 1.5 dCi GT-Line: sales of the evergreen Golf are on the rise again as Volkswagen shakes off the diesel-gate crisis. All-new one debuts later this year.